If you are looking for the affordable safaris in one of the last true wilderness areas in the world today then you'e going to love this website. It's a known fact that Botswana safaris are a bit on the pricey side. ....but that doesn't mean that there aren't affordable safaris available. 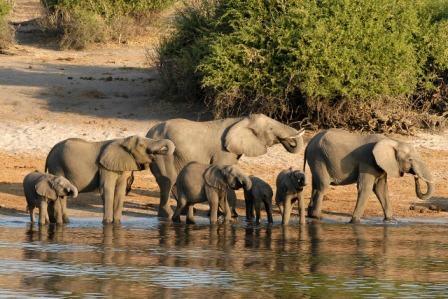 In-fact, there are hundreds of affordable safari tours available...you just need to know where to look. And that's exactly what this website about. You don't have to spend countless hours trying to find affordable Botswana safaris..I've done all the hard work for you right here on this website :) . Last but not least, you'll also find detailed profiles of each tour operator and travel agent that has safaris tours and packages listed on the website. So, after finding a tour you like, you can read the operator or agents profile to get a to know them better...because....it's always good to know you're dealing with legitimate people, and not some fly by nights. Has many positive reviews from travelers on websites like TripAdvisor, lonelyplanet and other review websites. ....and the good news is that each operator meets the above three criteria. So you'll without a shadow of doubt be in safe hands with any one of the safari operators featured on this website.